There are many myths circling around about the use of hearing aids, for example, wearing one can make you feel old. Of course, that might be true since one in three individuals over the age of 65 have a type of hearing loss called presbycusis. So many elderly do wear a hearing aid. That’s not the end of the story, though. These days, medical researchers have proven that wearing a hearing aid will actually keep you from feeling your age. To figure out why this happens, you must know more about how the brain works. Neuroplasticity is a complex word that describes how the brain adapts based on the changes around you. Consider this scenario; you spend your morning walking for exercise. Each day, you follow the same path, but one day, you notice a hole blocking your route. Do you stop walking — no, you find a way to change your route, so you can avoid the hole. The human brain works the same way. There are nerve channels in the brain that allow you do everyday things like take a walk or read a book. When something happens to you like a stroke, for example, the brain needs to find a way to reroute those pathways through neuroplasticity. Your adaptable brain is also how you learn new skills. If you take a tap dance class, for instance, the brain develops new channels called neural pathways to accommodate what you have learned. Most the time the adaptation works well. If a person has a stroke, the original pathways that let them walk might close down. The brain finds new neural routes so that person can relearn how to take a step. Neuroplasticity sometimes causes problems for people with hearing loss. Hearing requires sound waves to go through the ear canal to reach the inner ear. There, tiny hair cells move with the waves to send electrical signals that the brain translates into what you hear. When a person does lose their hearing, whether it is due to aging, noise exposure or disease, their brain stops getting those critical electrical signals from the inner ear or gets fewer of them, at least. When that happens, the brain can decide that the part it has dedicated to hearing is free real estate. It will create new pathways in that section that have nothing to do with hearing. This is an attempt to use that space efficiently, but it backfires. A 2015 study done by researchers at the University of Colorado supports this idea. The scientists did EEG recordings, that’s a tool that measures electrical activity in the brain, on people of all ages that have varying degrees of hearing loss. They found that functions like vision and touch can actually invade the part of the brain responsible for hearing. Researchers already know there is a connection between an increased risk of dementia and hearing loss. Studies indicate that an older individual with hearing loss may suffer mental decline 40 percent faster than someone with good hearing. When the brain stops getting signals from the ears, it starts to decline. It’s not clear why this decrease might happen, but it is possible neuroplasticity causes it. When the brain struggles to pick up sounds that are faint and it has to pull in resources from other critical functions like short-term memories to compensate. These problems all have one thing in common, the brain is no longer receiving the electrical signals from the inner ear that allow it to translate sound. For many individuals, merely filtering sound and amplifying it with hearing aids makes that possible again. A hearing aid will stimulate the brain, so it tries to hear again. When that happens, it can regenerate the necessary cells and develop new neural pathways. That effect can slow the cognitive decline that leads to memory issues and protects short-term memory. 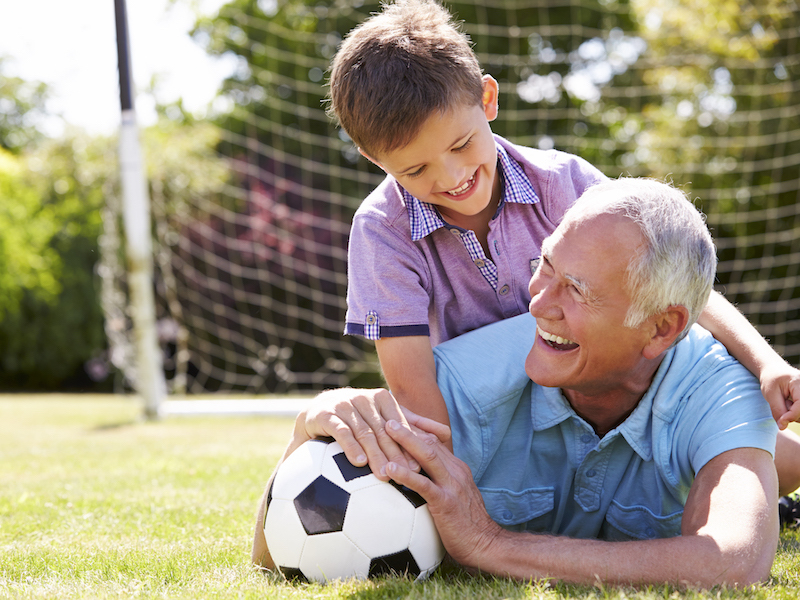 Hearing aids open you up to new opportunities, too, ones that strengthen the brain and keep you young. You can hear movies, take classes and learn new things. Staying active is really the key to feeling like someone half your age. Too often, older people with hearing loss end up isolated because they can’t take part in discussions or understand what is going on around them. Hearing aids change both how you live and how your brain functions. If you are wondering about your hearing these days, it’s time to schedule a professional hearing exam to see if hearing aids make you feel young again.